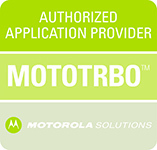 Solutions with Motorola professional Radios. Optionboards for DP,DM and DMR Radios. Selcal- and Mandown Optionboards for DMR Radios. Accoesories for Motoroal DMR Radios.